Once the world cup squad was announced, one of the biggest surprises for everyone was the exclusion of Ambati Rayudu. He was India's number 4 batsman in recent times and he would feel very unlucky to miss out on the selection. The selectors said that they preferred Vijay Shankar over Ambati Rayudu at number 4 because Vijay Shankar is more "3-dimensional" since he has the ability to bowl and is a very good fielder as well, apart from his batting. It is evident that Ambati Rayudu is not happy with the decisions looking at his recent tweet. His tweet says "Just ordered a new set of 3d glasses to watch the world cup", which many say is a way to get back at the selectors who preferred Vijay Shankar was his "3-Dimensional abilities". ‘கடைசியில் நெஹ்ரா கொடுத்த டிப்ஸ்’.. ஆர்சிபி தோல்விக்கு காரணமா?.. வறுத்தெடுக்கும் நெட்டிசன்கள்! ‘திரும்பி வரதுக்குள்ள இப்டி ஒரு அவுட்டா’.. ஏபிடியை மிரளவிட்ட பொல்லார்ட்’ வைரலாகும் வீடியோ! Watch - Ashish Nehra goes against Kohli's decision!!! Did that cost RCB the game??? RCB out of the tournament ??? ‘சிக்ஸர்களை பறக்கவிட்ட மிஸ்டர் 360’.. வலுவான நிலையில் ஆர்சிபி! Never bowl Malinga to AB Devillers !!! Watch CSK Players making Super Dosa! This page contains news relating to various facts and events. The views are generally about current affiars and general topics in diversified areas such as political, international, national, and regional issues, sports, health, travel, lifestyle, technology and business. People having similar interets on the above topics will find this page useful. 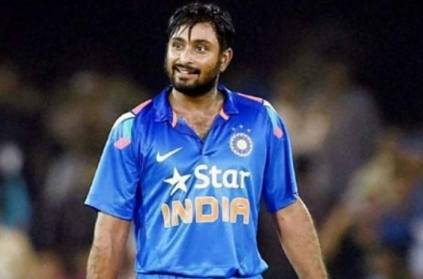 Rayudu's tweet mocking selectors about missing out on worldcup squad | Sports News.